Bloggers and online content producers can make their content shoppable with Cirqle. Images tagged with products get a discreet shopping button leading to an integrated shopping experience, and the blogger gets a commission on every sale they inspire. Signing up as a blogger or content producer is free, and you get a personal dashboard with a detailed overview of the sales and impressions generated from your site, and targeted campaigns and offers directly from brands and retailers when they notice your posts. Who is your product aimed at? Who is the target user? Any blogger or content creator can use Cirqle to generate revenue from their posts online. There are no restrictions or requirements on the amount of sales or degree of product focus to be eligible for the service. If you have a site or blog you are free to use Cirqle. Cirqle is currently available for sites on WordPress, Squarespace, Blogger and Tumblr, but support for additional platforms is on its way. Why did you build Cirqle? We saw that there was no solution for combining content and commerce in a way that would live up to the standards of both online consumers and content creators. The two main points are to offer a simple and elegant solution bloggers which does not distract them from creating quality content, and preserving their editorial integrity and authenticity. Our goal is to let any and all online influencers generate revenue on their own terms. By working for the content creators, we create the best experience for the customers they represent, which inevitably leads to creating an irresistible marketplace for all retailers. Compared to traditional advertising, Cirqle provides an unobtrusive connection while still being more relevant by featuring products inside instead of alongside curated content. Cirqle aims to create the largest product database in the world, and will eliminate the need for several, separate affiliate programs. It has also been a high priority to ensure that the administrative side for bloggers is as efficient and smooth as possible, and with the personal dashboard’s tagging system you will not need to go through the hassle of generating or manually updating product links – just focus on creating the content your readers love you for. The concept of Cirqle was born from a very practical and simple thought. We’ve all seen something posted online which immediately inspired a shopping urge, but then you need to find out what the product you want is, where to find it, locate the correct retailer and hope they can cater to your needs. If you are posting content yourself, you want to provide your readers with a way to act on your inspiration, and you should of course also be rewarded for it. It all boils down to the simple sequence of “This looks great! Why can’t I buy this immediately?”. When no good solutions were found, the obvious next step was to create one. Cirqle was co-founded by Dutch entrepreneur Steven Lammertink. Steven started his first company, Republish, during his studies at the Erasmus University in Rotterdam, and his second, Fray, as he was working at the Adobe headquarters in California. The main office is based in Amsterdam, the Netherlands, but the 18 developers, advisors and employees involved can be found anywhere from the US and London, via Iran, to Singapore. 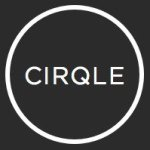 Beyond integrating more retailers and brands to increase the product offering, Cirqle is working on several projects through partnerships with blogger networks and online publications, and plans are being laid to allow unaffiliated retailers to integrate directly with Cirqle – opening the doors for smaller and more unique brands as well.